Learn, connect, share and create. 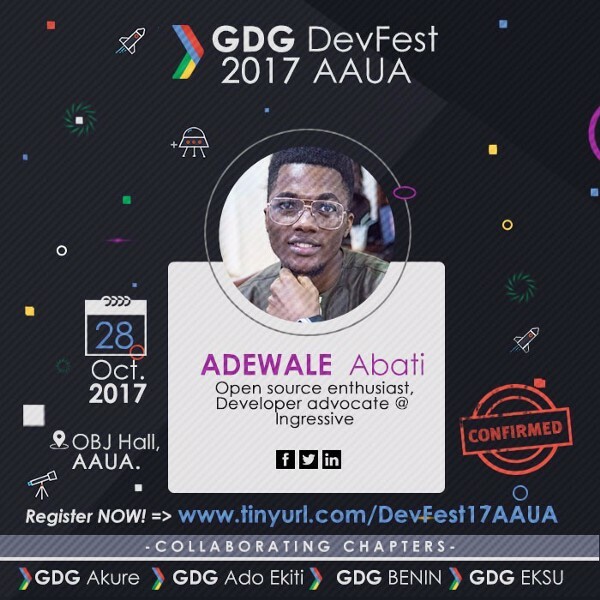 Target Audience: Tech enthusiasts, Developers, Entrepreneurs & Others. 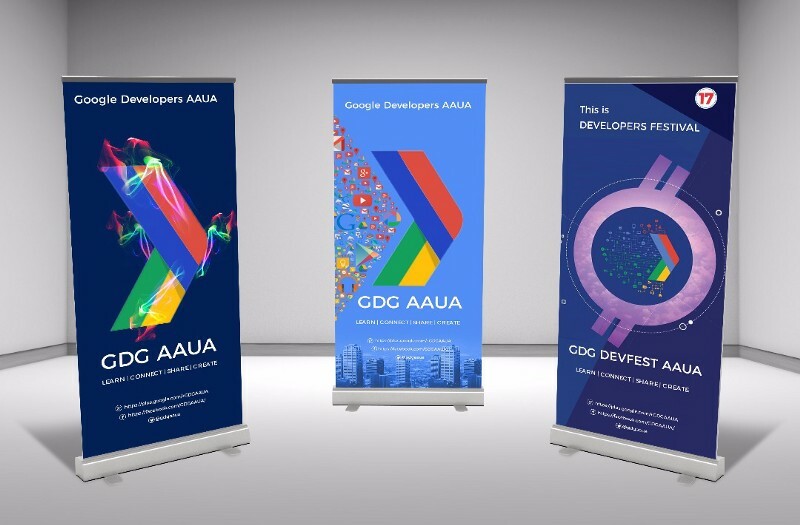 Developer Festivals, also known as DevFest are large events run within or across Google developer communities. 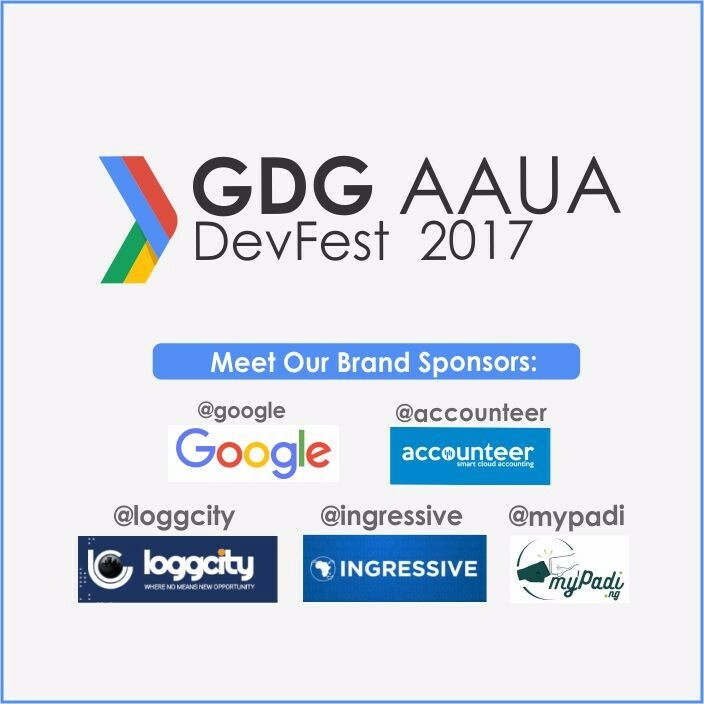 These events focus on community building and learning about Google Technologies, platforms & products. They attract large numbers of developers and tech enthusiasts within the radius they run. 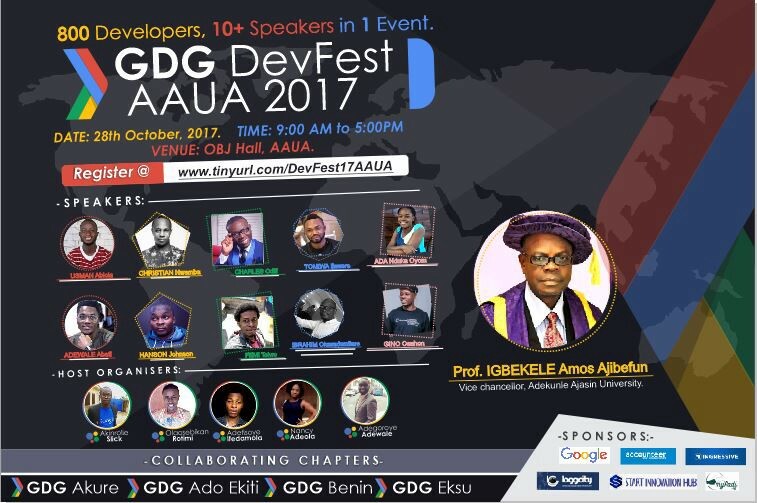 This year DevFest will be hosted by GDG AAUA in the South-West region of Nigeria, comprising of four collaborating chapters: GDG Akure, GDG Ado-Ekiti, GDG Benin and GDG Eksu. 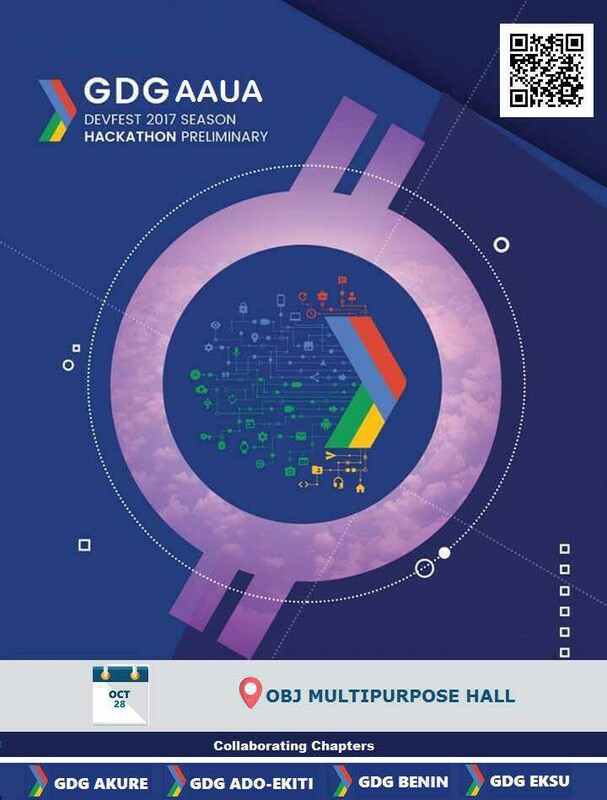 The focus of this year’s Devfest will staple around diversification of content.Every technology is essential and trending in its own right. 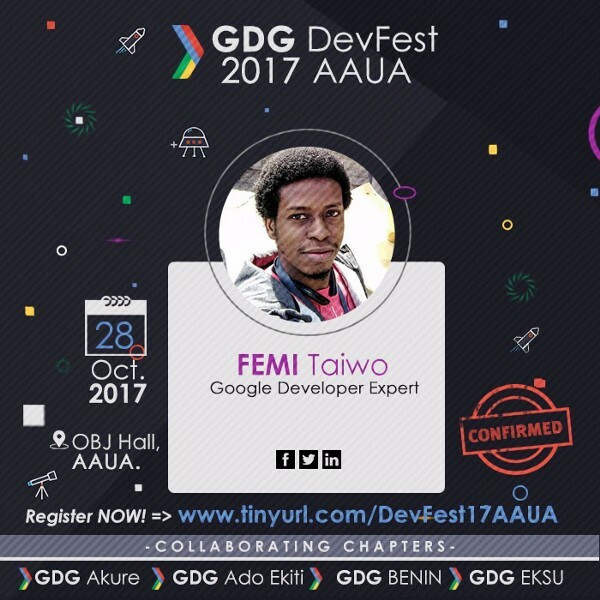 Ranging from New trending Technologies like TensorFlow, Android Thinngs to Artificial intelligence, machine learning, Android and Web all round technologies for UI and UX Design, It all comes down to creating the right content for the next billion users. 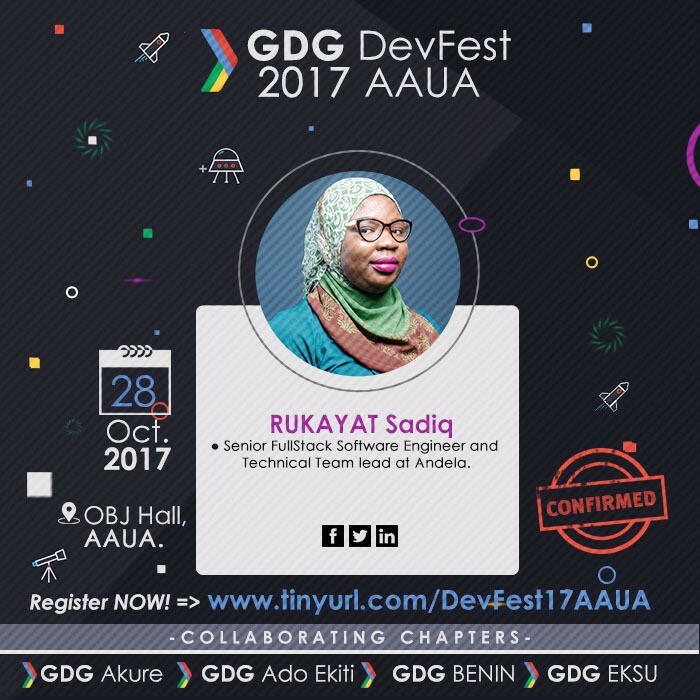 Women Techmakers will equally be represented with a collaborative and interactive fireside chat by the Women Techmakers host from each chapters, red-carpet interviews, games and many more exciting stuffs. 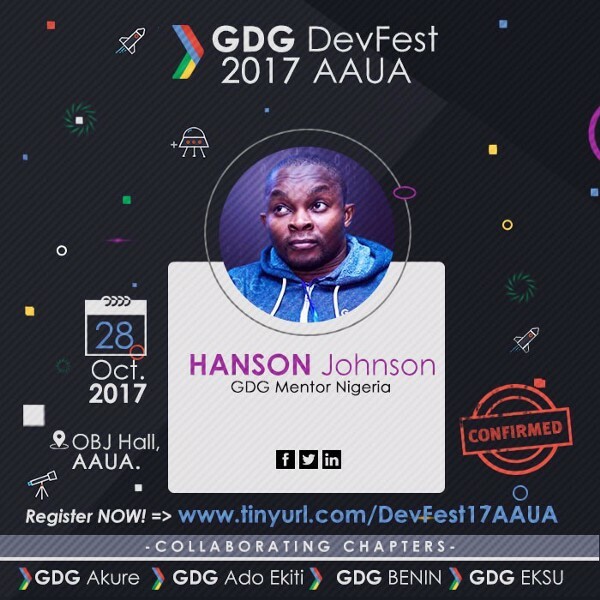 Everyone interested in attending GDG AAUA Devfest should expect a series of technical content tailored for the target audience. 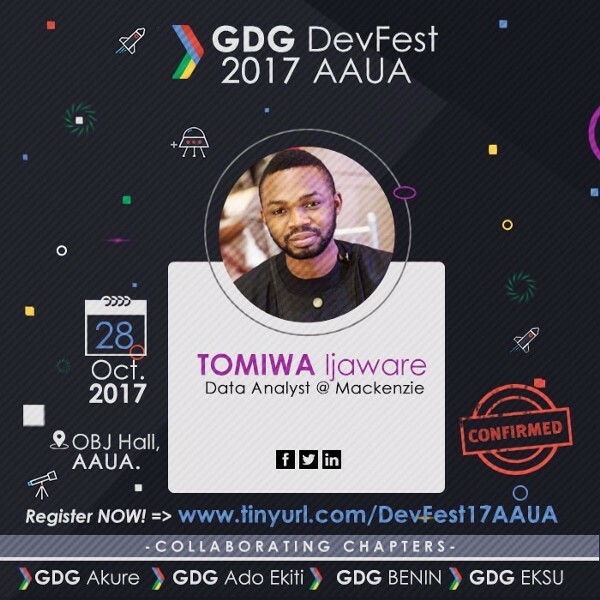 They will also benefit from a project show case, swag giveaways and a chance to meet some of the greatest minds in the tech industry at the moment. *Meet Awesome people around you* : You get to meet a lot of inspirational people, you will find yourself around a lot of people having similar interests. *Get to know about new technologies* : New technologies is what fascinates every developer, I especially enjoyed that part of the event you will get to know about new languages, frameworks, have an hands on experience with some languages or technology. *Discover yourself*: You will be able to see where you stand among your peers. This will help you to get a direction wherever you will proceed in your career. *Awesome goodies* : I got a slick T-shirt, Stickers, Notepad and some cool goodies so even if you are a complete beginner at least you get these stuffs. *Awesome food*: Guess what we have got BreakFast and Lunch for you. Awesome food, nice tea break session in the morning and superb lunch at noon and conducted in a reputed place. So you will find a way to satisfy your tummy as well. 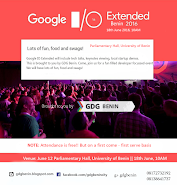 This will be a wonderful experience as whole, you will definitely learn a lot from an event like this, so in future if you get an opportunity don’t miss out, do attend GDG DevFests. 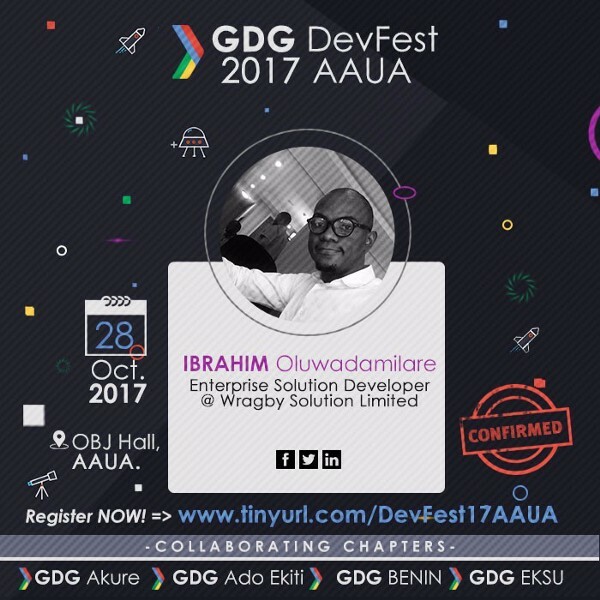 · User Experience Designer @FlutterWave Inc.
Ingressive is a tech integration firm, that invests in local startups, expand business operations or reach the African tech-enabled consumer. Join Ingressive in Nigeria, Kenya, Ghana or South Africa to integrate into Africa’s top tech ecosystems. Loggcity is a business consultancy and digital agency, registered in Nigeria and UK with branches in 3 countries Nigeria, UK and India. · Recruit Interns and student ambassadors. 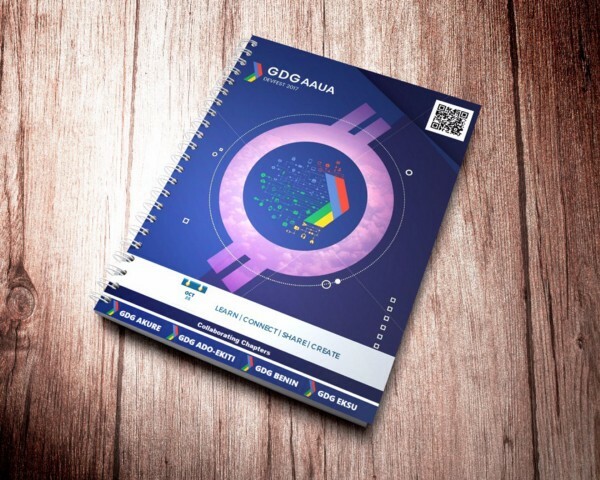 · Provision of stickers, notebooks, pens, tshirts and many more swags. MyPadi helps students to book hostels and find roommates online in few clicks. Since 2016, MyPadi has been changing how students find hostels in Nigeria. Accounteer is a cloud accounting solution for SME’s (Small and Medium Enterprises) with a strong focus on Africa. Special Thanks to @Google for making this happen.